Some people are destined to change mankind. On April 15th, 2017, two years ago, the world lost one of them. 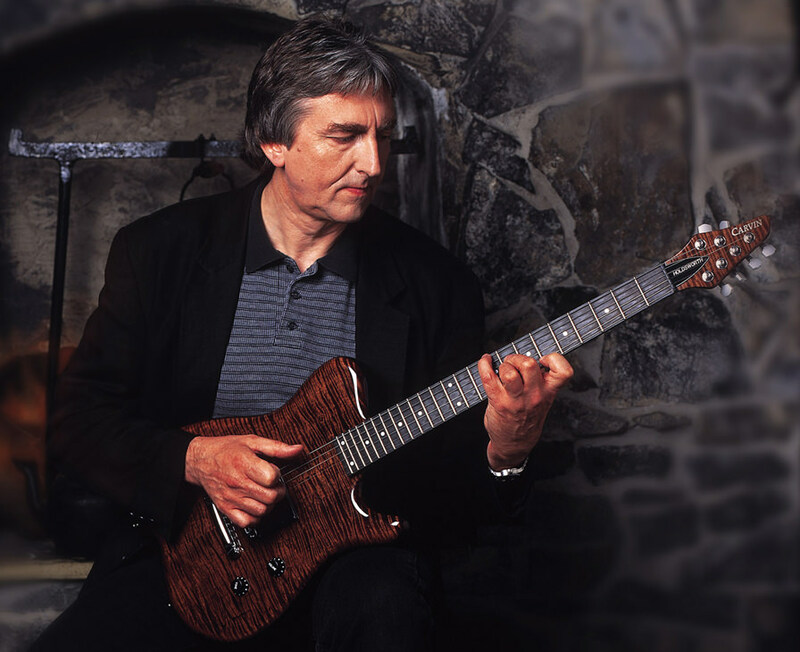 The Johan Sebastian Bach of electric guitar, The Einstein of the six strings, the inimitable, the groundbreaking, the guitarist’s guitarist, the Maestro: Allan Holdsworth left us, and with his departure we probably lost the greatest and most innovative guitarist to walk the Earth. And arguably, one of the most underrated visionaries of the instruments, one who will be acknowledged in the years to come, when his talent is finally understood by the masses. Allan was an “Original”. A man who touched thousands of hearts with his magnificent music. I believe the first album I ever heard him on was the debut album by Jon Hiseman’s Tempest, when his sound was more horn-like, raw and aggressive – several years before he developed what became his unmistakable trademark legato style. Some years later my dear friend Guericke De La Fuente played the Tony Williams Lifetime album for me and the Soft Machine‘s “Bundles”, both the same day. He used to nickname Allan “El Abusador”, which is the Spanish term equivalent to “The abuser”. He used to say Allan did not play his guitar, he abused of it. It was a rather simple way to put how bewildering, confusing, and disoriented Allan’s trademark technique was. However, I don’t think there was ever a gap between Allan’s and his guitars. His instrument was nothing else than an extension of his own mind, and that is exactly what made him so different, unparalleled and innovative. He led multitudes of guitar players and indeed players of all instruments into wildly new possibilities. As someone once said: “In order to be irreplaceable, one must always be different“. And Allan was not only different: he was unique. 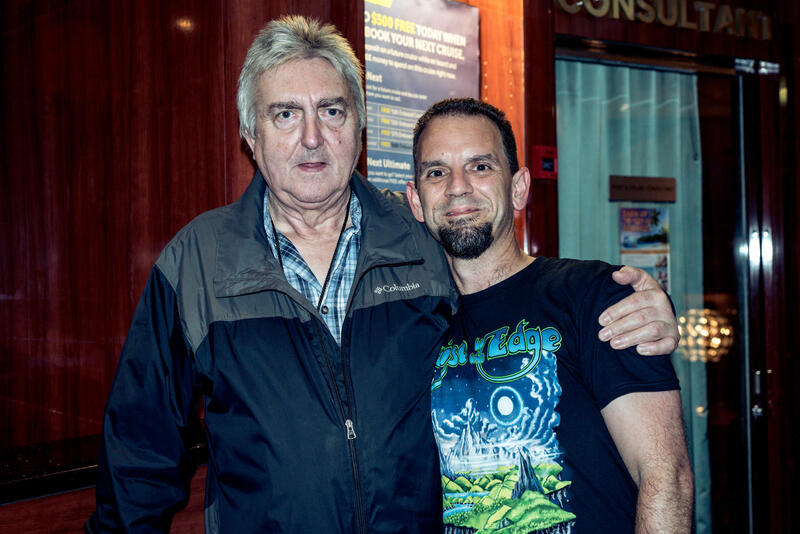 I met Allan back in 2015 during the Cruise to the Edge progressive rock cruise. We have a fun chat about music and Cuban cuisine sprinkled with a couple of beers, and he gave me one of his well-known ribcage-shattering hugs, an uncompromising embrace, as strong as talented his music was. I also remember how gently he patiently signed every single item brought to him by a long list of passengers formed immediately afterwards. 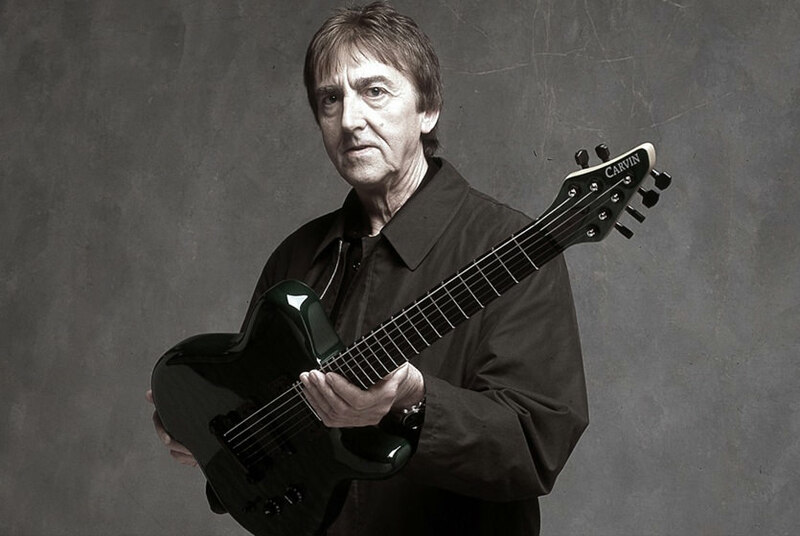 A true testament to the greatness of a man whose astonishing technique, unbridled creativity, iridescent tone, dynamic touch, exquisite taste, and expansive melodic strategies have absolutely changed guitar-craft for any player aspiring beyond his or her first barre chord. Allan’s longtime friend, manager, founder of Moonjune Records and musical connoisseur to the utmost degree Leonardo Pavkovic said about Allan: “This man took a plank of wood, a few strings, and some wires and transformed people’s lives in a way that few others have”. And that phrase describes him better than hundreds of paragraphs. He will be talked about for centuries. 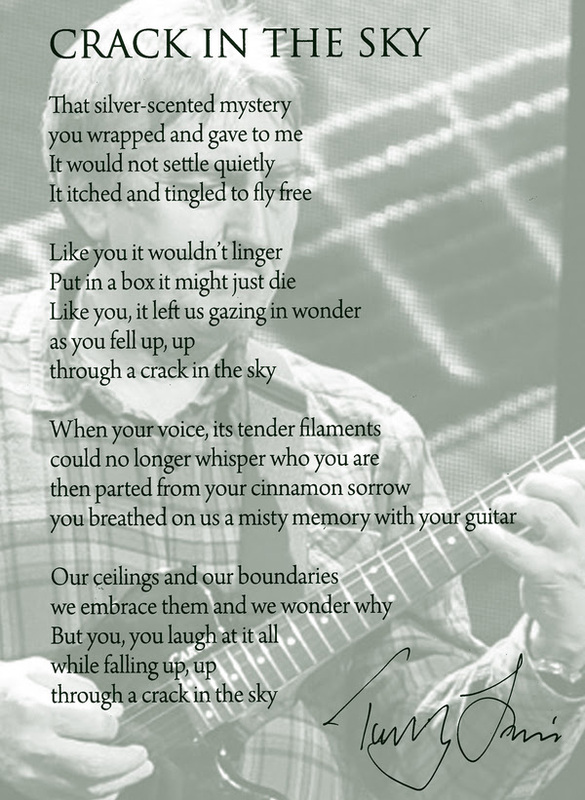 His soul lies above the stars, but his music will remains with us. R.I.P. dear Allan. We will meet again on the other side.